Today I reached a goal I have been working on for a long time so I decided I/we needed to celebrate. As a special celebration Cooking With My Food Storage treat, I am having a giveaway. 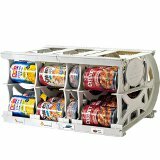 If you are new to food storage or want to know more about the basics this is the book for you. So how do you enter? Comment on this post for each of the following things you do. 2. 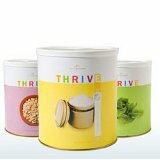 Tell me what THRIVE product you would most like to have in your food storage. 3. Tweet, post on facebook, and blog about the giveaway. **Make sure to leave a separate comment for each thing you do. This give a way closes on Saturday February 19, 2011 at 7:00 p.m.